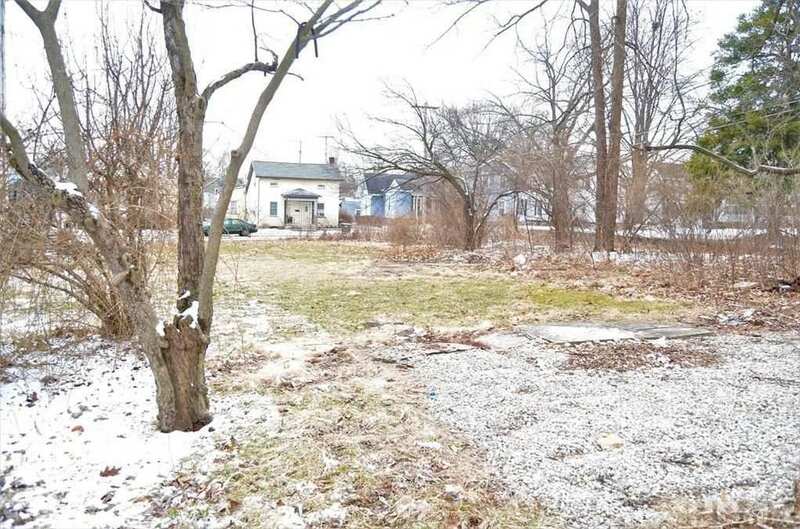 Beautiful, spacious home in need of TLC! 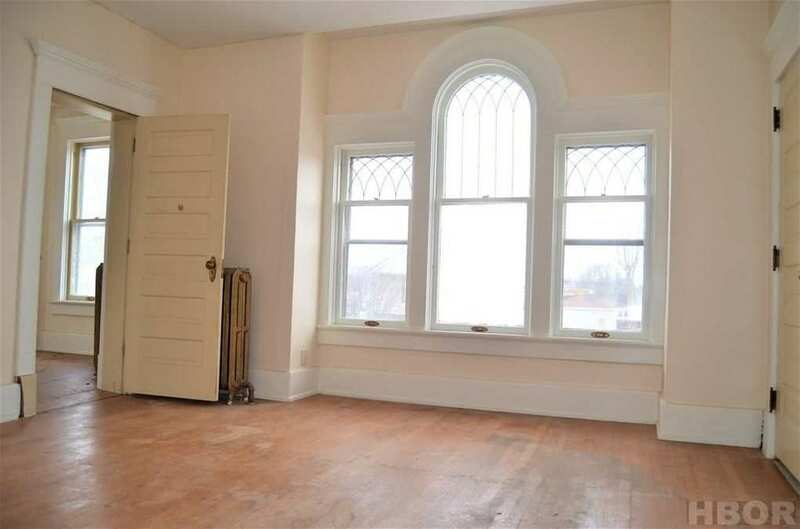 The character and charm in this house is in every room. 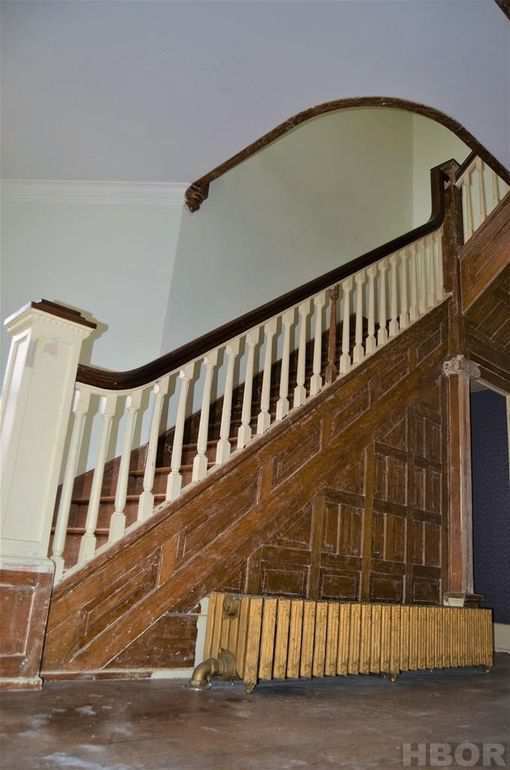 From the original hardwood floors to the winding staircase. 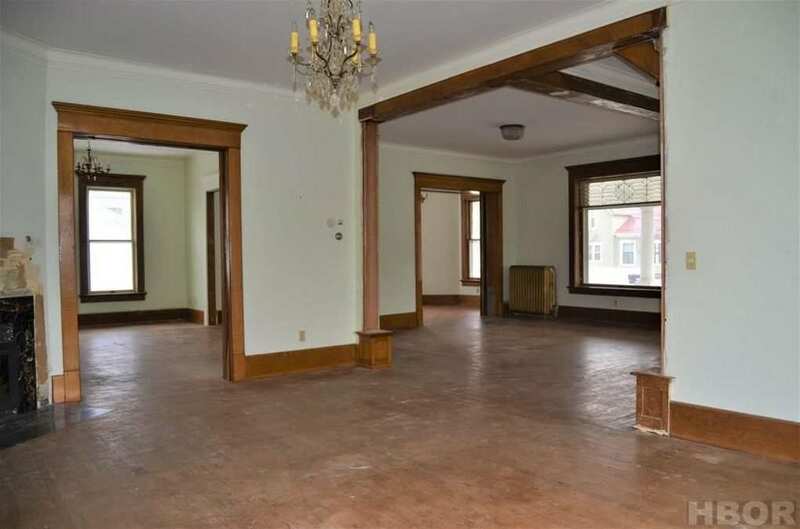 With 5 bedrooms there is plenty of room for all. Don't miss your chance to own this gorgeous home. 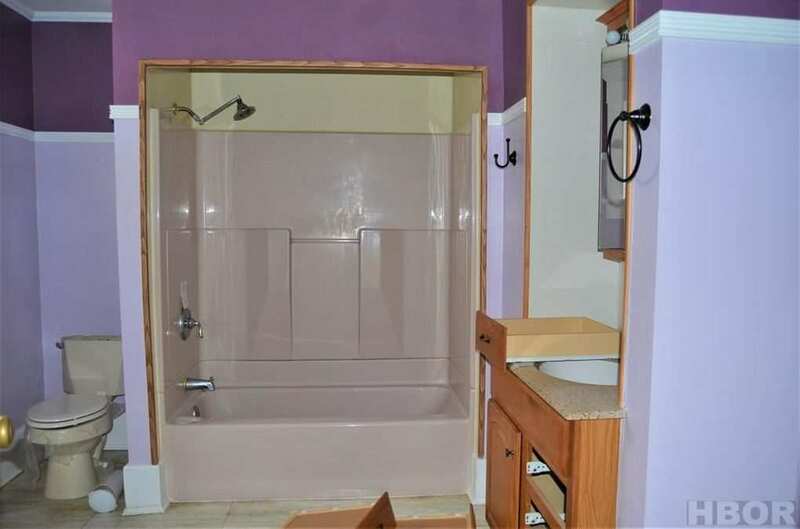 I believe this home was foreclosed on earlier this year. WOW! 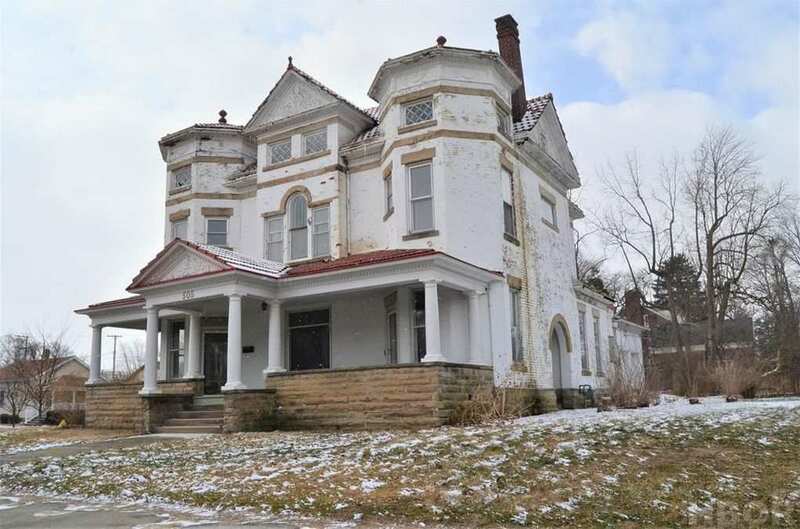 I don’t even know where Fostoria Ohio is, but for 89k this house has me wanting to move there! It’s in NW Ohio. Fostoria is known for Fostoria Glass. Sadly they don’t make glass anymore, it’s beautiful Google it. 🙂 Beautiful house, gorgeous woodwork. Any structural engineers want to take a crack at THAT? Heheheh. Pretttay interesting. I don’t know enough about the subject to even speculate. Kinda limits your options on 3, that’s for sure. Looks like it probably say Fostoria. I’m glad I didn’t have to haul those timbers up in the attic. 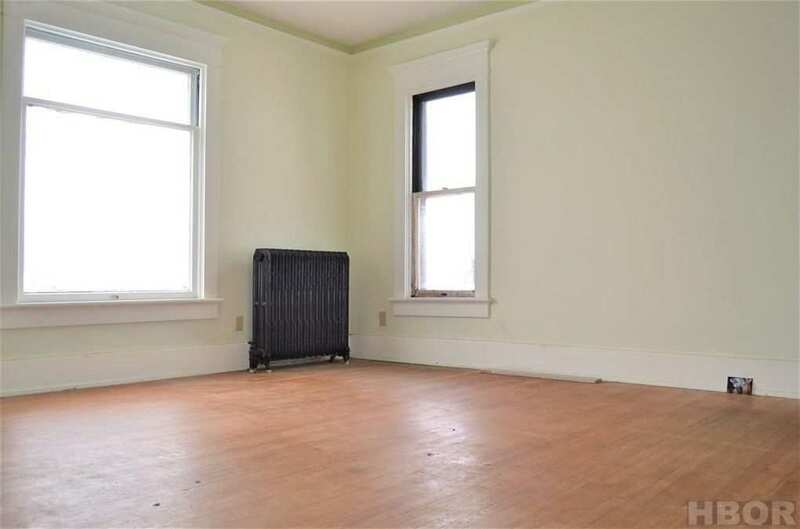 The big horizonal timber is typically put in place to guard against sagging or compression. The diagonal timbers on the ends are to guard against movement. 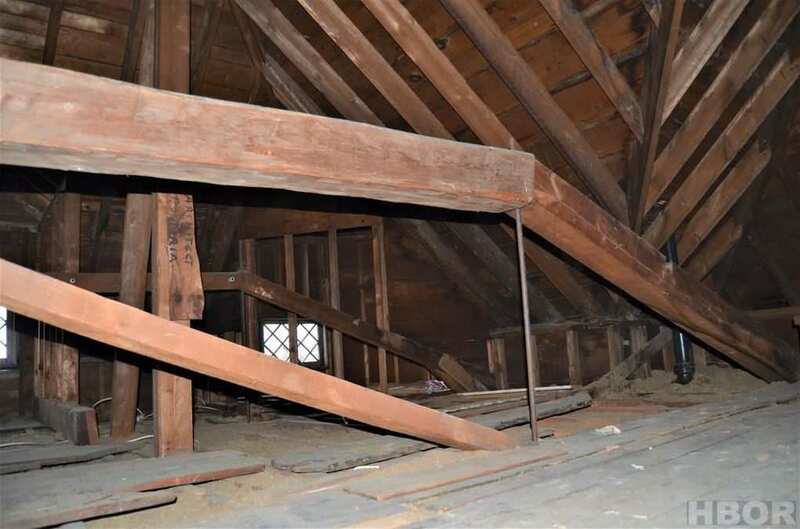 The two diagonal beams below the large timber may be there as a secondary means of stabilizing the primary support beam. I think the more important question is: What are the two iron rods, at each intersection of the timber used for? 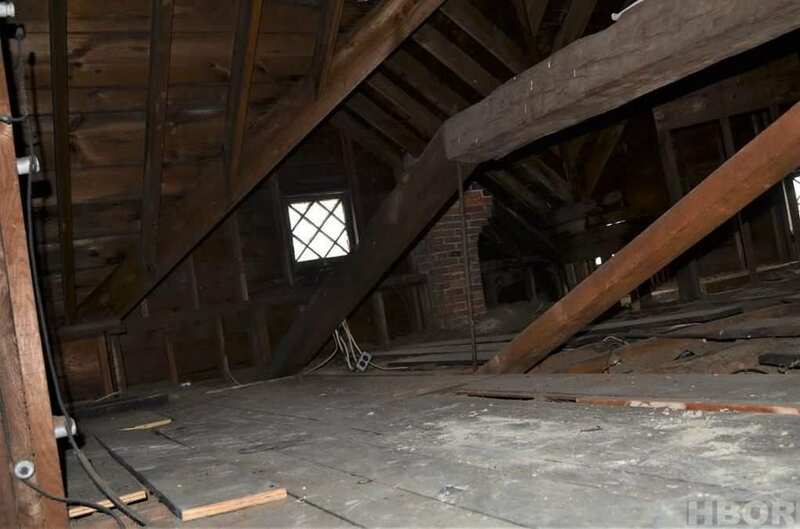 Now I’m going to take a guess; there could be a beam used in a long span in the ceiling that the ceiling joist are resting on or butted into the face of the beam. The steel rods could be there to provide against the beam sagging. This could be why there isn’t any vertical secondary supports located under the beam. Add to that the roof has a tile roof and adds a lot of weight. When you see the street view, the main part of the roof is a hip roof but has a lower pitch on the upper part of the main hip roof, making it more complicated to support the structure! 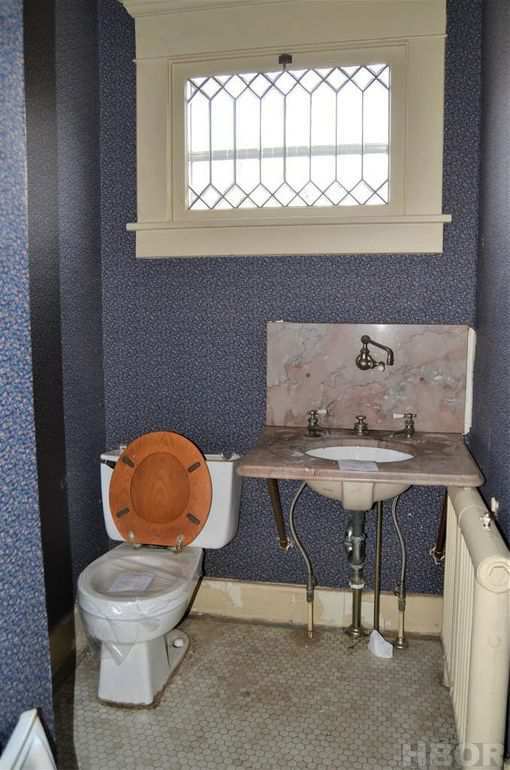 Still, it’s the kind of thing I would get a professional to look at. Thank you Ron. I think you’re absolutely right. All that open space on 1 is very unlikely original; so that business on 3 must be a retro-fit to accommodate the load just as you described. Somebody went to a whole lot of expense and effort to make that happen a good long time ago. Successful aesthetically? Nah, not really, IMO: and the thing kills your potential prospects on 3. 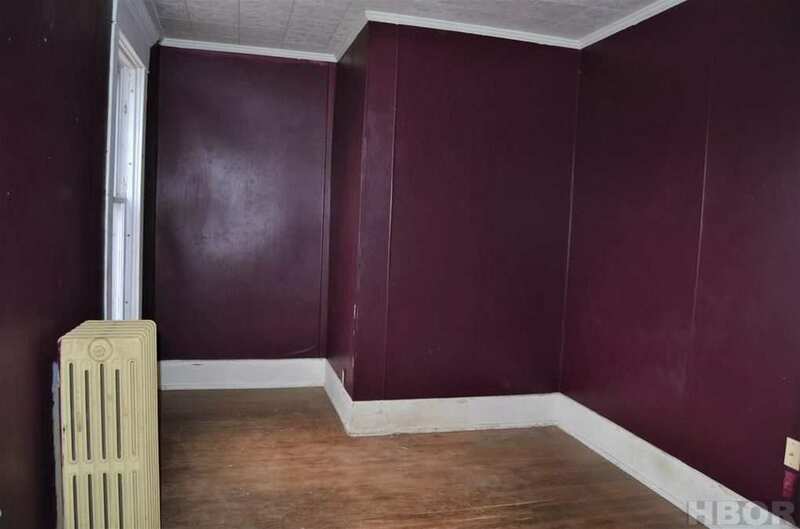 Someone gets an A for effort on attempting to strip that woodwork from the paint that afflicts it. It is a daunting task. I did it once, and I will never do it again. Painstaking work. After the paint is stripped, there at millions of little specs that have to be removed. The more detail in the wood, the more difficult. I hear that removing it and having it dipped is much better. Though I can only imagine the cost would prevent me from doing it. 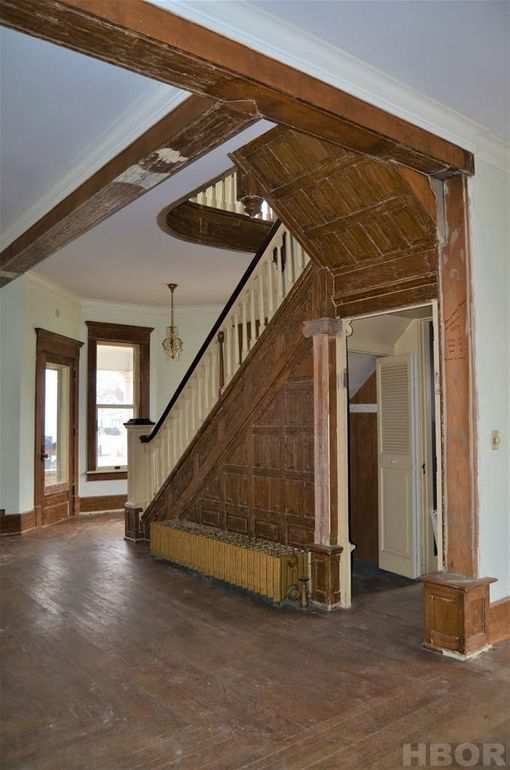 That double back staircase is cool! Cool exterior construction. We use heat guns, scrapers, wire brushes and picks (like the dental kind for those really detailed places) to strip. I used the Peel Away 7 one time. It worked pretty good, but it you brush it on and let it sit for hours, so it wasn’t the most timely method. 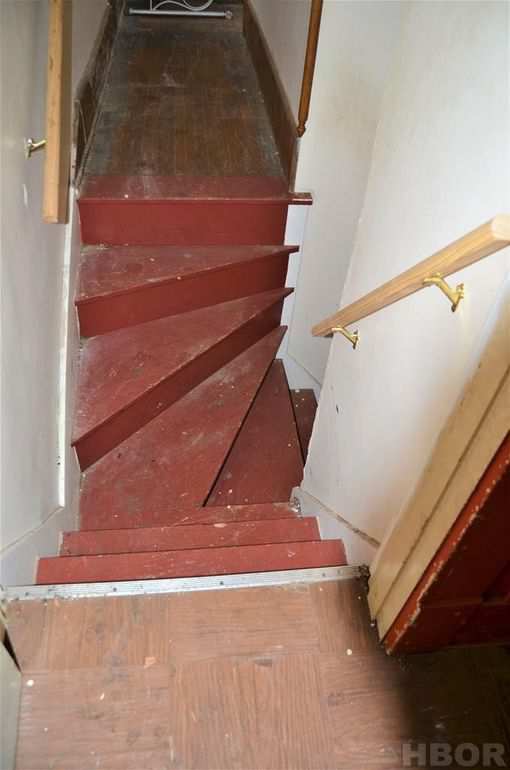 No matter how you cut it, stripping is a pain and yeah, those back stairs are cool! 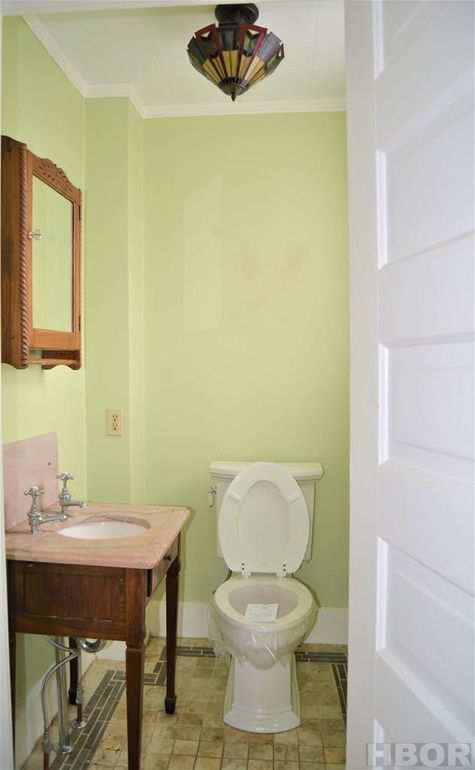 Oh, also, if you remove the trim, a lot of times there’s no wall behind it. 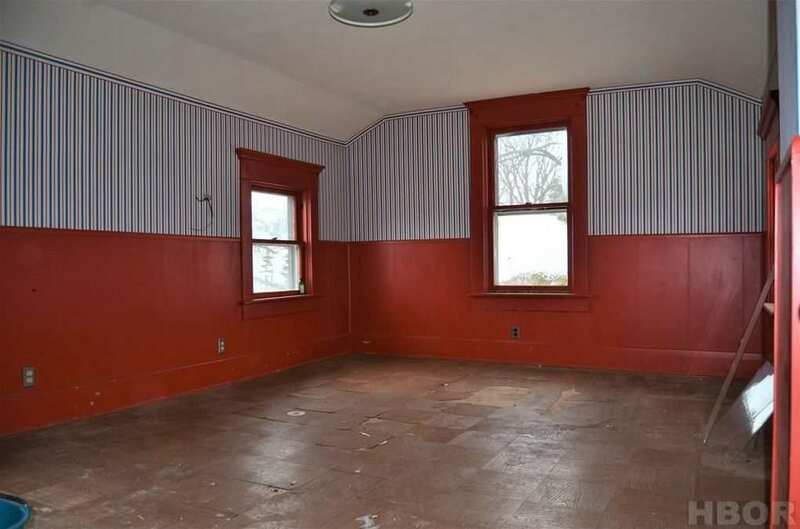 The plaster at our last house stopped at the trim, so you wouldn’t want to do that in the winter. 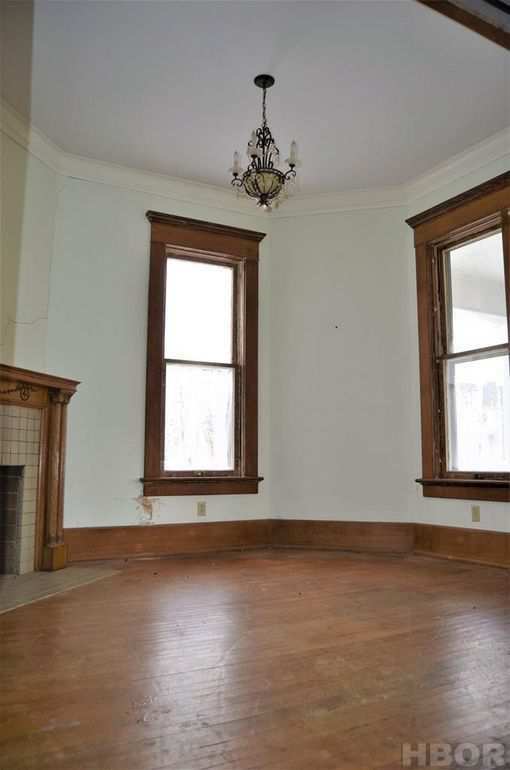 This house is beautiful but it always breaks my heart to see original details missing. 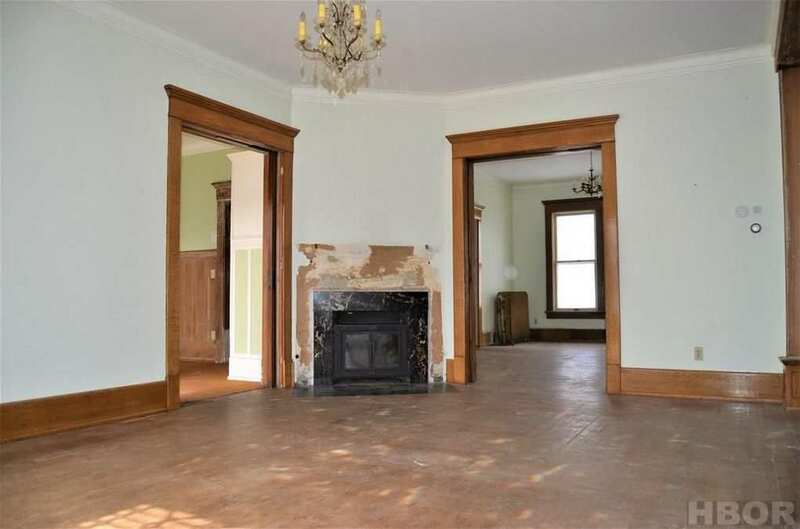 In this case that beautiful mantel and whatever was on the wall in photo 6 and who knows what else. At least in Kelly’s older post we can see what the mantel looked like. 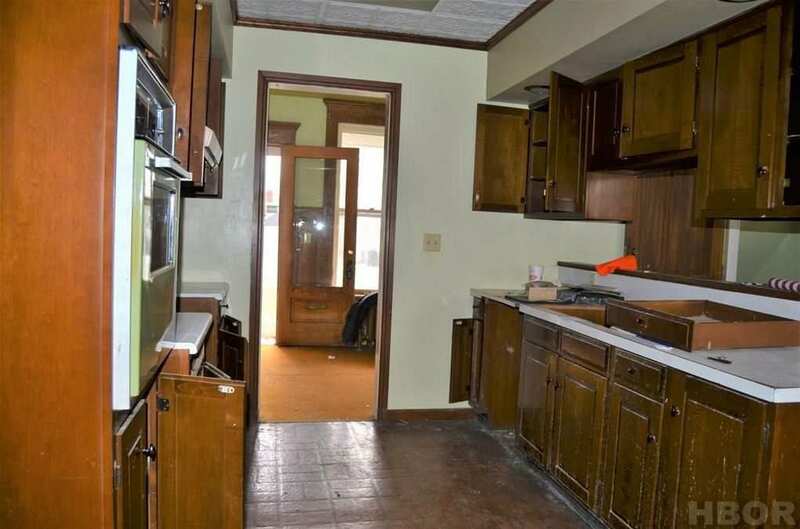 I wonder if the owners who were losing it to foreclosure sold stuff off before they were forced out. Just that much sadder! Please don’t assume it’s the previous owners, it’s not our place to put blame on them especially when they just lost their home. Could be “shrinkage”. 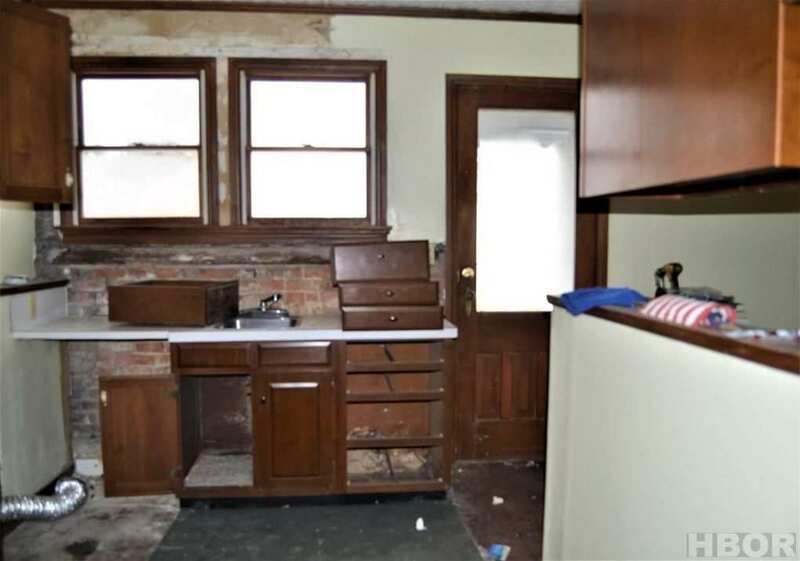 Tweekers and junkies know the value of old house parts these days, and things like that disappear all the time when a house is vacant. 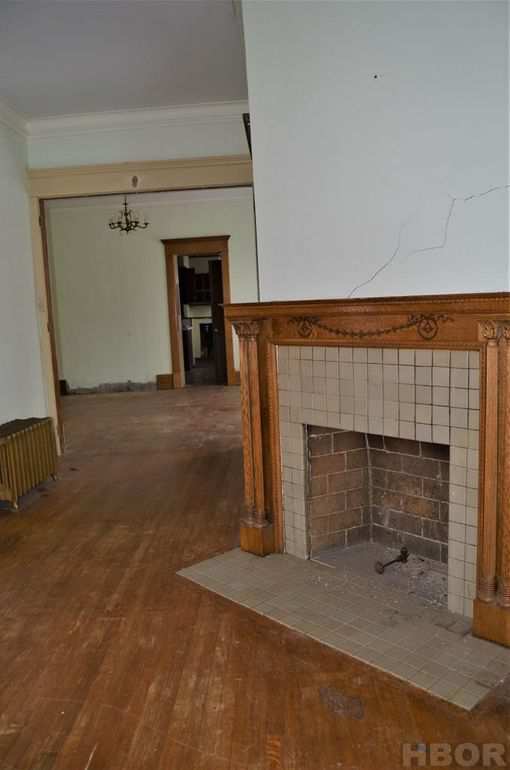 If you go up to Rosewaters post you will see what is missing such as columns, fireplace mantel, and another fireplace that had an insert. 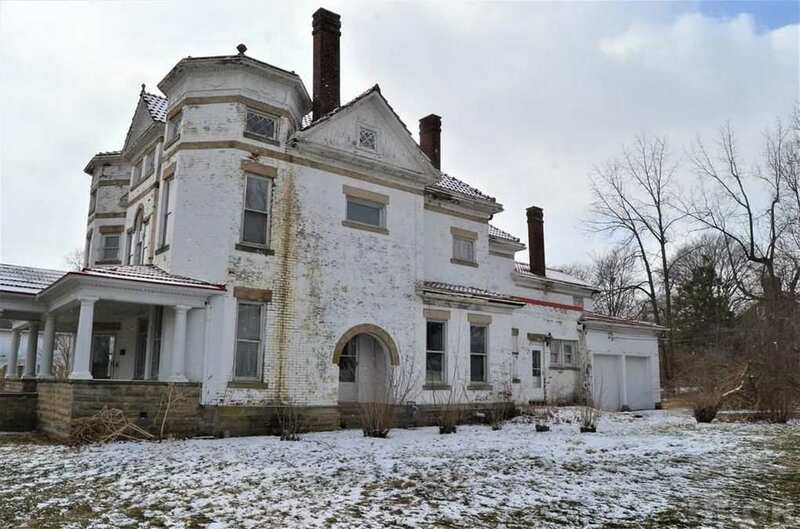 The home of merchant and banker Charles Olmsted (1830-1906), brother-in-law and associate of Governor Charles W. Foster, after whose family the town was named. 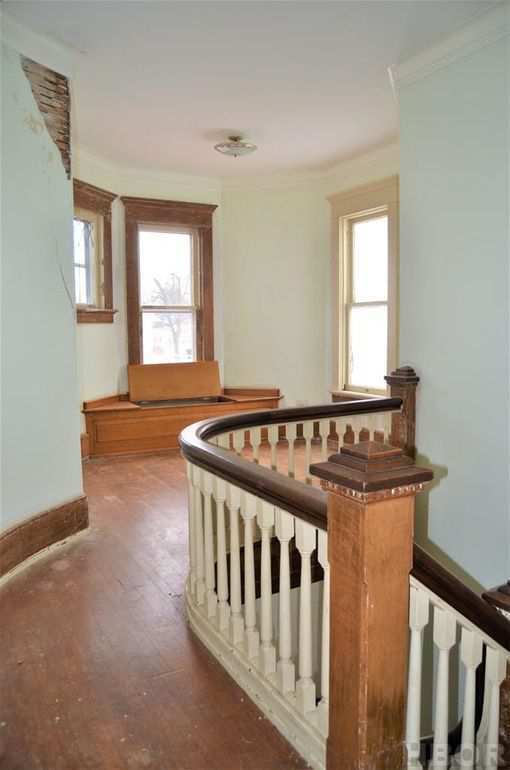 The previous owner claimed a build date of 1865. If true, the facade was likely updated later, and the porch later still. 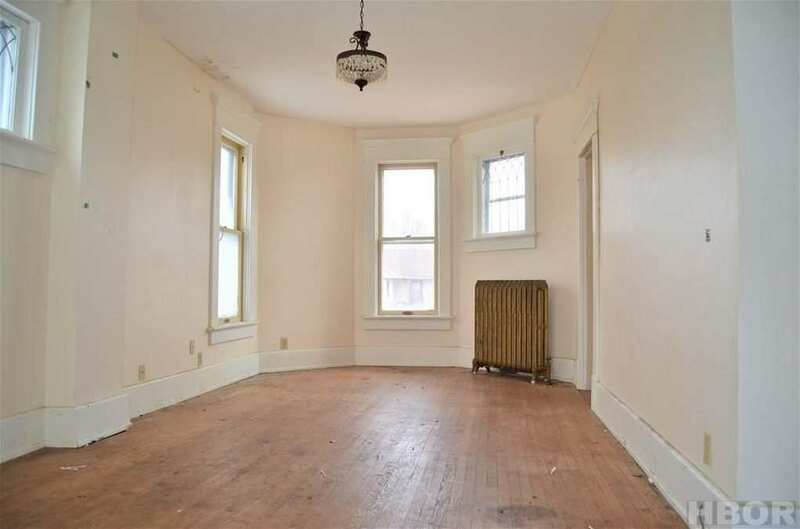 The interior also appears to have been remodeled before 1900. It’s a big old place with lots of secrets for sure. 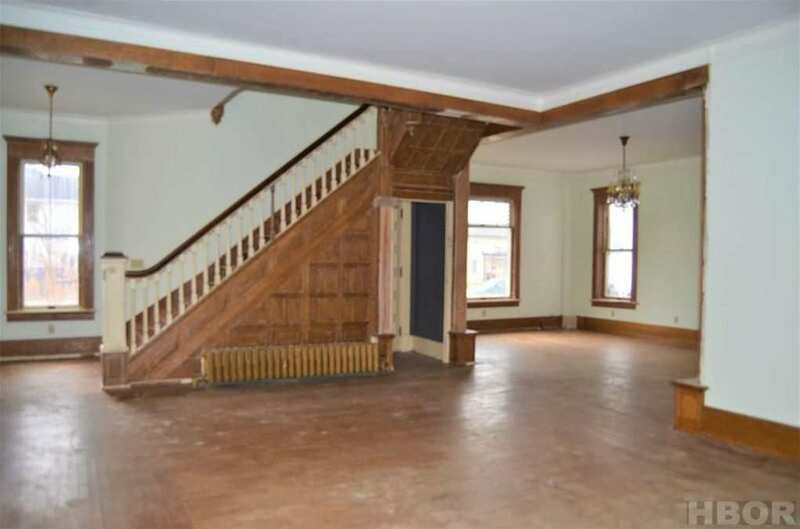 That’s a lot of house for the price. Sure, it probably needs a lot of work but, c’mon! under 90 grand? That attic! I could spend way too much time looking at all the timbers and pondering on how they all work and who came up with the idea. Hopefully all the bits and pieces are still around. 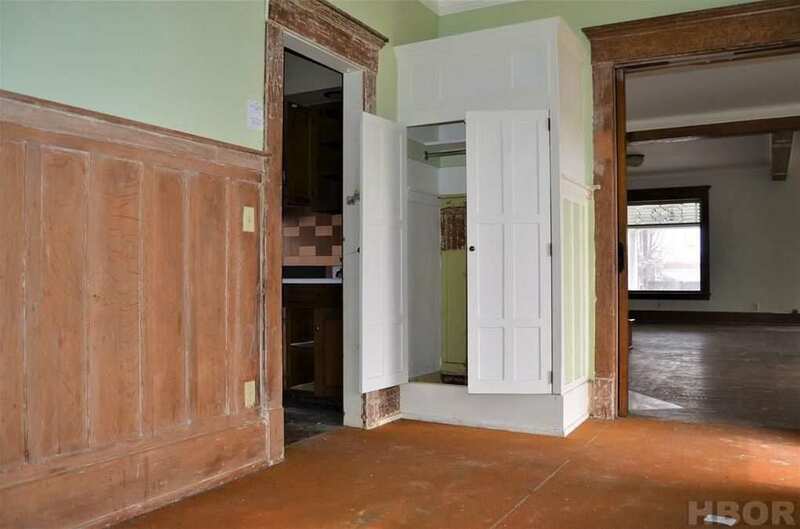 It sure looks like something is wrong here where these two doorways meet. Was there originally a post here? 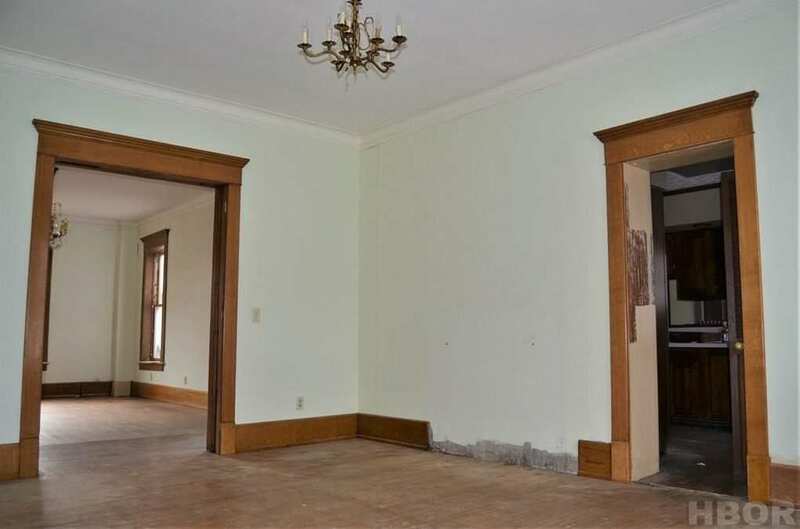 Perhaps the right side of the doorway was moved back (towards the staircase)? I’d caution anyone contemplating dip stripping wood. It dries the wood terribly making it more fragile and no matter what you do, it does not return to how it was before all the “juices” were sucked from the wood. It also makes it look almost new because all the original patina is gone. 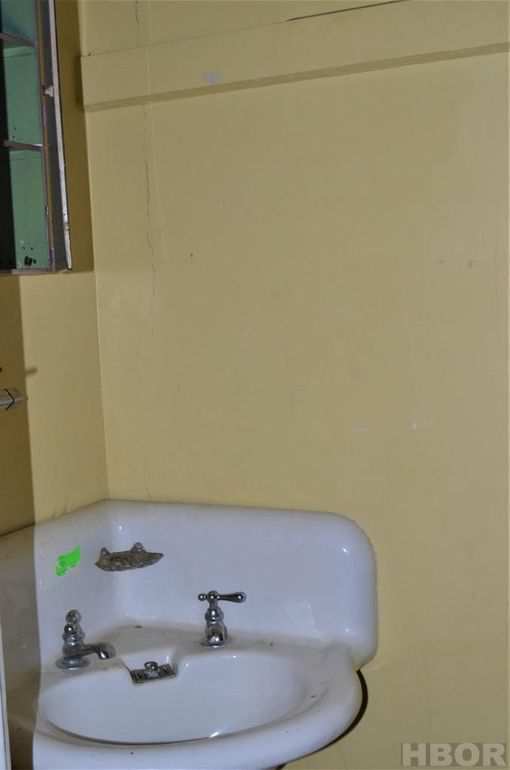 I’d suggest to either hand strip or put another coat of paint on it and move on.